With a posh lifestyle most can only dream of, royal families across the globe enjoy fame, fortune and prestige. Whether they were born royal or married into it, the public has long-been fascinated with the opulence associated with being part of a country's ruling family. Royal families' net worths vary greatly by country, but their wealth is still much more than the average person will ever have in the bank. Whether admired for their charity work or fashion sense, royalty is always in the spotlight. The longest-reigning monarch in British history, Queen Elizabeth II was crowned in June 1953. Married to Prince Philip — the Duke of Edinburgh — since November 1947, the royal couple has four children, eight grandchildren and five great-grandchildren. They certainly have enough room to host the entire family because their home is the 775-room, 828,821-square-foot Buckingham Place, valued at $2.7 billion. The palatial residence is about to begin a 10-year, nearly $454 million renovation, but Queen Elizabeth II won't have to foot the bill because it's owned by the Crown Estate. Although she doesn't own her primary residence, the Queen does own Balmoral Castle and Sandringham House. Much of the British royal family's net worth comes from the Crown Estate — one of the largest real estate properties in the U.K. — but it isn't actually owned by the queen. Valued at $14.8 billion for the 2015-16 year, Her Majesty gets 15 percent of the Crown Estate's annual profits, which amounted to nearly $53 million in 2016. She also has access to its royal palaces, including Buckingham Palace, Windsor Castle and Clarence House. She receives profits from the Duchy of Lancaster estate — a portfolio of land, property and financial investments — which totaled nearly $22 million in 2016. Similarly, her son Prince Charles receives income from the Duchy of Cornwall estate, which amounted to more than $25 million in 2016. King Carl XVI Gustaf of Sweden was coronated in 1973 when he was just 27 years old. He's been married to Queen Silvia since 1976. The couple has three children. The royal family's net worth includes private ownership of Solliden Palace, a summer home on the Baltic Island of Oland. The family also leases country residence Stenhammar Castle from the State. The king and queen primarily reside in the 600-room Royal Palace in Stockholm. Funds for the king's official duties are covered by the Court Administration and totaled approximately $7.2 million in 2015. The Palace Administration, including the Office of the Governor of the Royal Palaces and the Royal Collections, received nearly $7 million from the State in 2015. The Royal Djurgården Administration garners roughly $15.5 million in revenue from rents and leases annually. Married to former television reporter Queen Letizia since 2004, King Felipe VI has been Spain's reigning monarch since June 19, 2014. The royal couple has two daughters and they reside in Zarzuela Palace on the outskirts of Madrid. In an effort to appeal to the general public, the King slashed his own salary by 20 percent in 2015 to $267,447. 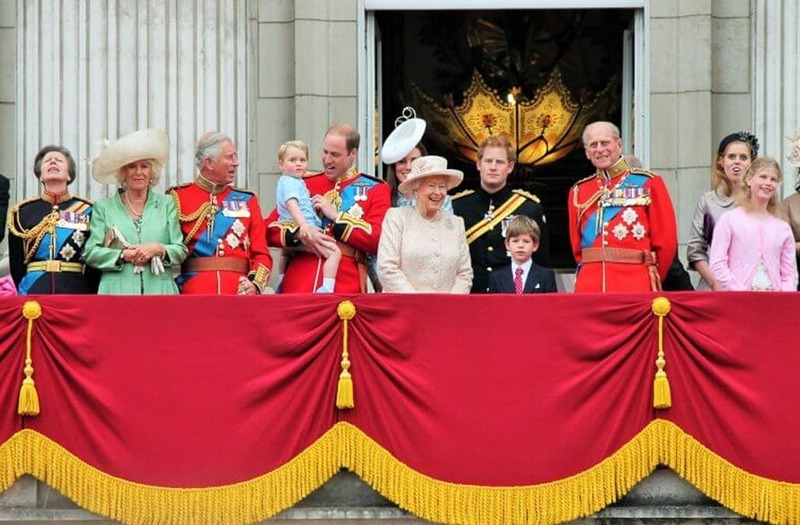 The family's royal lifestyle still cost the country $8.9 million in 2015, just as it did the prior year. The son of Grace Kelly, H.S.H. Prince Albert II, became the reigning monarch of Monaco on April 6, 2005, upon the passing of his father Prince Rainier III. He has four children, including two with his wife, H.S.H. Princess Charlene, whom he married in July 2011. His massive royal family net worth includes Palais Princier, his private residence, which has been owned by his family for generations. Monaco's leading royalty is rumored to own up to 25 percent of the land in Monaco — a country the size of just 0.75 square miles — and several French estates. His real estate portfolio also includes the Philadelphia-area childhood home of his mother which he purchased in 2016 for a reported $754,000. Prince Albert II's massive fortune also includes an antique car collection, a stake in a Monte Carlo resort and pricey stamp collection. His Majesty King Philippe of the Belgians came to the throne on July 21, 2013. His royal family includes wife Queen Mathilde, to whom he's been married since 1999, and their four children. The family resides in Brussels at the Castle of Laeken, but not much is known about their finances. Despite his high-powered role, King Philippe maintains a somewhat normal existence, reading the newspaper over breakfast at home and driving his children to school each morning. Don't expect to see him donning a crown because these fancy jewels are never worn by Belgium kings or queens. Queen Mathilde may wear a tiara on special occasions, however. Margrethe Alexandrine Þorhildur Ingrid has been Queen of Denmark since 1972. She's been married to Henri Marie Jean André, Count of Laborde deMonpezat, HRH Prince Henrik of Denmark, since June 1967. The couple has two children and eight grandchildren. Their main residence is Copenhagen's Amalienborg Palace. The Danish royal family has lavish spending habits. The queen and prince consort overspent their budget by $823,809 in 2015, largely due to celebrations for the queen's 75th birthday. Son Prince Frederik and his wife Princess Mary have also been in the red multiple times over the years. Royal salaries were a major topic of controversy in 2016 as Danish politicians moved to create a measure that would ensure the state wouldn't be required to bankroll all the royal grandchildren. The ruling family got the message and issued a statement that only the eldest child of the crown prince will be paid a salary at age 18. King Willem-Alexander of the Netherlands has been in power since April 30, 2013, and he's been married to Queen Máxima since March 2001. The couple and their three daughters reside at Villa Eikenhorst in the town of Wassenaar. Considered one of the most expensive royal families, the Dutch monarchy costs taxpayers roughly $38 million per year. Personal allowances for King Willem-Alexander and Queen Máxima are rumored to be around $6.7 million annually, and official visits and international trips cost an estimated $24.7 million. Politicians were also furious to learn the royals had spent around $135.7 million on renovations for their palaces and houses in 2014. The Dutch royals have plenty of money to fall back on because their personal fortune is an estimated $161.7 million, which was largely earned from stock in the oil company Shell. His Majesty King Harald V of Norway has held the throne since Jan. 17, 1991. He married Queen Sonia in September 1971, and they reside in Oslo at the Royal Palace. The couple has two children and five grandchildren. King Harald V receives an annual grant from the Norwegian government for his service, estimated at $17.2 million. The money also funds the official activities of his son Crown Prince Haakon and his wife Mette-Marit. King Salman bin Abdulaziz Al-Saud of Saudi Arabia came to power on Jan. 22, 2015. Not much is known about his personal life, but he has at least six sons. Islamic tradition also allows him to have up to four wives at a time. He enjoys a number of perks as king, including his own jail, a luxury yacht the length of a football field and his private residence, Erga Palace. Prior to taking the throne, he reportedly rented out three entire resorts in the Maldives for an estimated $30 million vacation that lasted nearly a month in 2014. King Salman bin Abdulaziz Al-Saud pleasantly surprised the public shortly after his coronation by ordering payouts to much of the Saudi population that cost an estimated $32 billion, according to The New York Times. The payouts were allocated in the form of grants, investments and bonuses to everyone from professional associations to soldiers and students.